We are an innovative locally owned and managed boutique travel agency which has a reputation for offering a quality personalised travel service to the local community (and beyond) since 2001. 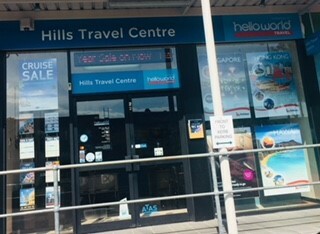 Conveniently located at the Kings Langley Shopping Centre, our experienced team of travel experts including Owner and Manager Angela Fisher and our Senior Travel Consultant Bronwen Simpson alone have a combined over 50 years travel industry expertise. It’s our personal experiences and passion for travel, knowledge and exploring that ensures a constant desire to go above and beyond for our clients and this is what sets us apart. An associate member of the Helloworld Travel brand Australia’s largest network of independently owned and operated group of travel agents, we enjoy a great relationship with quality airlines and travel suppliers which enables us to give you not only the best buying power but the latest travel advice when your booking flights, hotels, cruises, coach and holidays packages worldwide. Let us help you create the ultimate travel experience. You can contact us at travel@tskl.com.au or phone us on 02 9624 1177 or visit us at Shop 22 Kings Langley Shopping Centre James Cook Drive Kings Langley NSW 2147.